The Indian P2P lending industry is in the nascent stage of development. While many players try to attract investors by offering high-interest rates and leave them in the lurch in the case of default, i2iFunding has walked the talk by making the first payment from the Principal Protection Fund, and reiterated its commitment to shore up investors' confidence. Deteriorating asset quality has become an inevitable problem of the banking sector these days. Bad loans skyrocketed 135 percent over the last two years, and now, they constitute close to 11 percent of the advances of Public Sector Banks (PSBs). The P2P lending industry is no immune to this trend. To a much lesser extent, i2iFunding has also experienced slippages and has witnessed defaults of nearly three to four percent of total loans disbursed on the platform. However, every attempt has been made to minimise the impact of defaults on investors' finances. 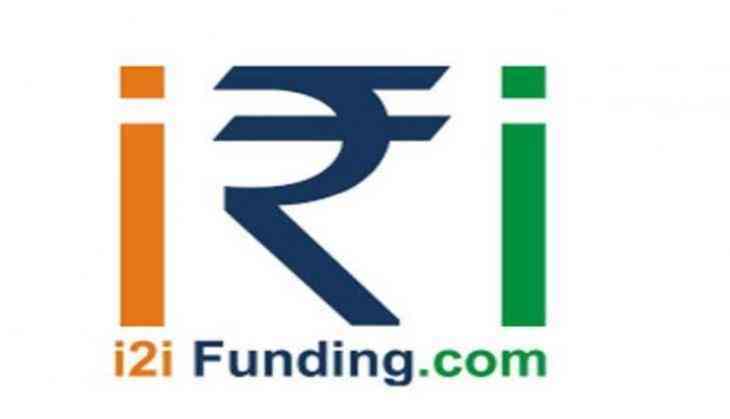 i2iFunding has become the first P2P lending platform in India to compensate investors for the loss of outstanding principal amount incurred on the defaulted accounts. About a year ago, i2iFunding had established a Principal Protection Fund by keeping aside money from its earnings. This was done to safeguard the interest of its customers and help them stay stress-free. The quantum of the payout was fixed by the category of loans. Lately, i2iFunding compensated 39 investors, by paying a total sum of Rs. 2.25 lakhs. With this, i2iFunding offset principal losses incurred by investors. Out of 7 accounts wherein the defaults were reported, 4 belonged to the risk category 'D' and one account each belonged to the categories 'C', 'E' and 'F'. This was done at no extra cost to the investors. Prudential measures taken by i2iFunding. Taking cognizance of asset quality woes experienced in the recent past, i2iFunding has decided to recalibrate its risk management processes. Although the credit appraisal procedures followed by i2iFunding until now have been relativelystrong, some slippages can be attributed to a lenient risk categorisation. This has been the primary cause of the delinquencies experienced so far. And, to a much lesser extent, demonetisation is also one of the reasons for the slippages. The loss assessment is being carried out to see the trends post demonetisation. i2iFunding will continue to honour its commitment of compensating investors for the borrowers' defaults in principal repayment depending on the risk category. Co Founder Raghavendra Pratap Singh, says, "In coming days, i2iFunding will collect more data from the aspirant borrowers. The development of a borrower-dedicated mobile application is already underway. Alternate data points and systematic analysis of available information along with improved recovery mechanism will ensure that slippages will come off sharply in future." Principal Protection Programme will be taken to a new level. Principal Protection programme will also be strengthened further, and many new features will be included. As of now, the level of principal protection depends on the category of the loan. Default in the category "A" qualifies for 100% protection of outstanding principal. This falls by 10% for the every next category and default in the "F" category offers you 50% protection. The functioning of the Principal Protection Fund will be further rationalised and smoothened. i2ifunding will primarily provide 50% and 100% principal protection options in each category from 'A' to 'F'. There will also be the third option of 'zero' protection. Depending on the option selected by the investor, he/she will have to settle in for lower EMIs. The fee for offering principal protection service would be deducted through EMIs, but won't be collected upfront. It's noteworthy that, this may proportionately reduce the returns earned on lending projects but would make lending at i2iFunding safer and more secure. An i2ifunding Investor Mr. Venkata Reddy Chamakura says "I have been investing on many P2P Lending platforms and all of them are having defaults. Only i2i had announced about Principal Protection earlier but many of us had our reservations regarding this protection and we were waiting to see whether i2i will pay or not in case of default." "I was pleasantly surprised, when I got email from i2i that they have made first payment towards Principal Protection. This Principal Protection payment shows that i2i cares about protection of investor's money and they have some skin in the game as well."